A 7-year-old girl is recovering after her neighbor’s dog bit her on the cheek on Wednesday at her Land O’Lakes home. The girl went to hug the dog while he was on a leash when he bit her on the cheek. The bite required the girl to get 28 stitches. Family members and neighbors are shocked to see the dog suddenly turned vicious. The dog was not taken by animal control, but was put on home quarantine. According to reports, a doctor advised the girl to stay out of the sun for the next six months. Her injuries will require reconstructive surgery. Dog bite victims have legal rights, and a Pasco County Injury Lawyer at Whittel & Melton can make sure that these rights are upheld. As an injury victim, you have the right to seek financial compensation from the owner of the dog to cover medical bills for any and all injuries, disfigurement, scarring and mental trauma that resulted from the attack. It is always recommended that you obtain immediate medical attention after a dog bite or animal attack and contact an attorney as soon as possible. According to the Centers for Disease Control and Prevention, nearly 800,000 Americans seek medical attention for dog bites each and every year. About half of dog bite victims are children, and sadly, more than a dozen dog bite victims die per year, which is why dog attacks should never be taken lightly. 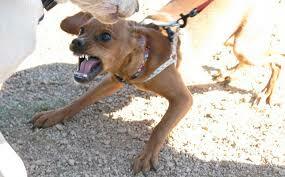 In Florida, dog owners can be held liable for damages when their dog attacks or harms another person. If you, your child or a loved one was attacked by a dog or other pet, you should contact a Pasco County Injury Attorney at Whittel & Melton right away at 727-847-2299. Medical complications resulting from dog bites can cause severe financial hardships. Despite the breed of dog that attacked you, the size of the dog or what provoked the attack, we can help you obtain just compensation for damages. You can request a free consultation by contacting us online.